In this post, I talk about deleting millions of rows in SQL Server whilst keeping impact low. TRUNCATE TABLE – We will presume that in this example TRUNCATE TABLE is not available due to permissions, that foreign keys prevent this operation from being executed or that this operation is unsuitable for purpose because we don’t want to remove all rows. SQL Server sets about the process of writing to the transaction log all of the changes to be applied to the physical data. It will also decide on how it lock the data. It’s highly likely that the optimizer will decide that a complete table lock will be the most efficient way to handle the transaction. Your transaction log may grow to accommodate the changes being written to it. If your table is huge, you run the risk of consuming all the space on your transaction log disk. If your application(s) still requires access to the table and a table lock has been placed on it, your application has to wait until the table becomes available. This could be some time resulting in application time outs and frustrated users. Your transaction log disk will be working hard during this period as your transaction log grows. 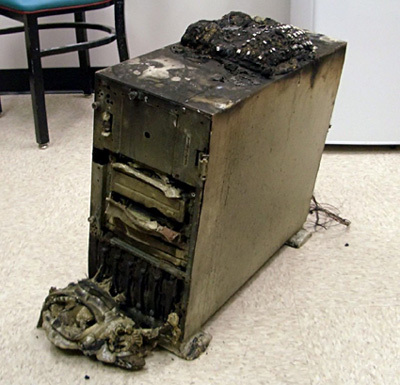 This could be decreasing performance across all databases which might be sharing that disk for their transaction logs. Depending on how much memory you have allocated to your SQL Server buffer pool, there could be significant drops in page life expectancy, reducing performance for other queries. The realisation that a big performance issue is occurring lends temptation to kill the query. The trouble with that is it can delay things even more as the server has to rollback the transaction. Depending on how far along the operation is, this could add on even more time to what was originally going to be. Use a loop combined with TOP and delete rows in smaller transactions. Here are a couple of variations of the same thing. Note that I have arbitrarily chosen 1000 as a figure for demonstration purposes. These are simple examples just to demonstrate. You can add WHERE clauses and JOINS to help with the filtering process to remove specifics. You would add error handling/transactions (COMMIT/ROLLBACK) also. It’s a bad idea to delete millions of rows in one transaction 🙂 and whilst this might sound like a no-brainer, people do try and do this and wonder why things start to go bad. Breaking the delete operation down into smaller transactions is better all round. This will help reduce contention for your table, reduce probability of your transaction log becoming too large for its disk and reduce performance impact in general. Your transaction log disk will still be working hard as your refined delete routine removes the rows from your table. Try and run this task during maintenance windows which are typically done inside off peak periods. 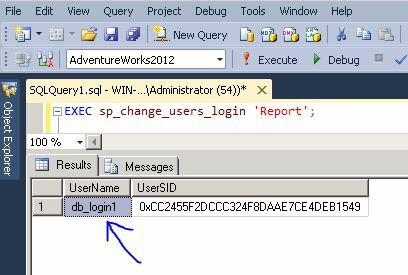 In this post, I’m going to be looking at sp_change_users_login in order to fix SQL Server orphaned users as a continuation to a previous article. There I looked at a couple of ways to transfer logins from one SQL Server to another and touched upon the issue of the orphaned “security identifier” (SID). The root cause of this problem can be when a login is deleted or the database has been moved or restored to another server but the login transported in the database does not exist on the destination server. I first saw this error a number of years ago and due to my complete lack of experience at the time, one of my first thoughts was that I would have to remove the database users, re-add them all for each login requiring access and then proceed to add the permissions back in for user. I quickly realised that this would be a massive waste of my time and that there had to a better way and so I proceeded to consult the search engines for a resolution. Unsurprisingly I quickly found many other people who had been in the same situation as me and that sp_change_users_login had been the cure to all their woes. And here I am writing a post about it 🙂 Well I never would have imagined that but it was a long time ago and only clever people could put a website together back in those days when blogging platforms were a twinkle in some programmers eye. The best thing to do is run the following code against each database you are checking. Run this against each database. It will help you to find all the orphaned logins in your database. You will see output like the screenshot attached if there are any sql orphaned users. In this example, user “db_login1” is showing up as an orphaned user. If you don’t already have a login to map to, you can have sp_change_users_login create one for you and with a password. The following code does this and creates a login with the same name and a password of ‘aaZZww77’ as an example. For more info on how to fix orphaned users, click this sp_change_users_login link and this one on troubleshooting orphaned users to view the documentation from Microsoft.